Underground Storage Tanks (UST's) are a vital component of a gas station's operations. Financing underground storage tanks is not something everybody does, as many lenders are not familiar with the collateral that tanks represent, the installation work and related costs that go into an underground fuel tank upgrade, and other considerations that come into play in leasing underground fuel tanks. If your site is affected by the EPA's 2015 Revised Underground Storage Requirements financing your underground storage tank upgrades allows you to upgrade your gasoline or petroleum tanks and manage your cash flow. 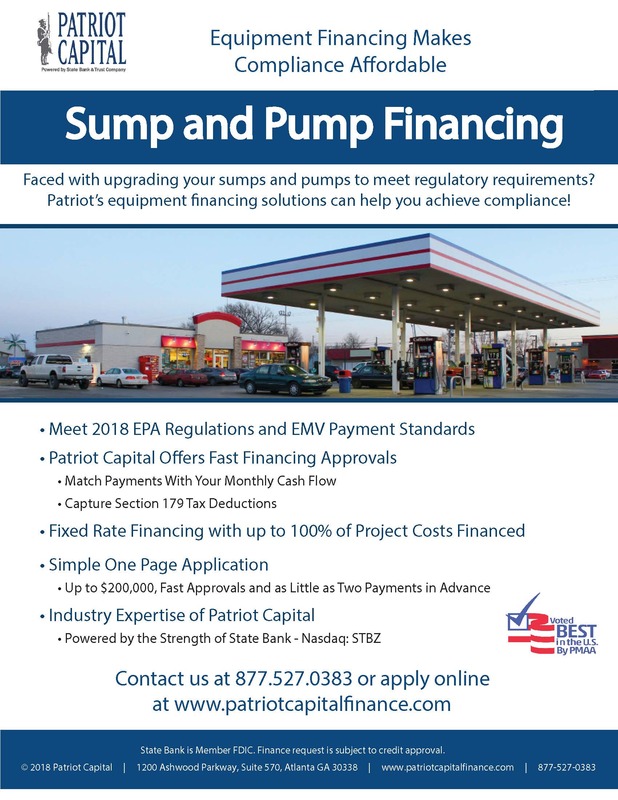 Combining your UST tank upgrade with financing your EMV gas pumps enables you to meet several capital investments is an affordable manner. Of the 561,000 active UST's in the U.S., 84% are in significant operational compliance with spill, overfill and corrosion protection requirements, and 80% with lead detection requirements based on the EPA's November 2016 Fact Sheet. Read more here. Great fast process and good service. Thanks! If you are considering upgrading your underground storage tanks for gas or diesel, Patriot Capital provides financing for new double wall tanks and the related installation work. Underground storage tank loans can run from 2 to 5 years. Financing is available for all major tank manufacturers, including Xerxes, Containment Solutions, and for tank gauges, including Veeder-Root TLS450. Learn more. PEI (Petroleum Equipment Institute), UST Installer Training Course - One day certification course for UST installers. Learn more.